From the cosmopolitan streets of Ho Chi Minh City to the charming backwaters of the Mekong Delta, discover Southern Vietnam’s incredible charm. Zip through the city’s streets and narrow alleys by Vespa then change gears with a relaxing sampan cruise along the Delta’s tranquil waterways. 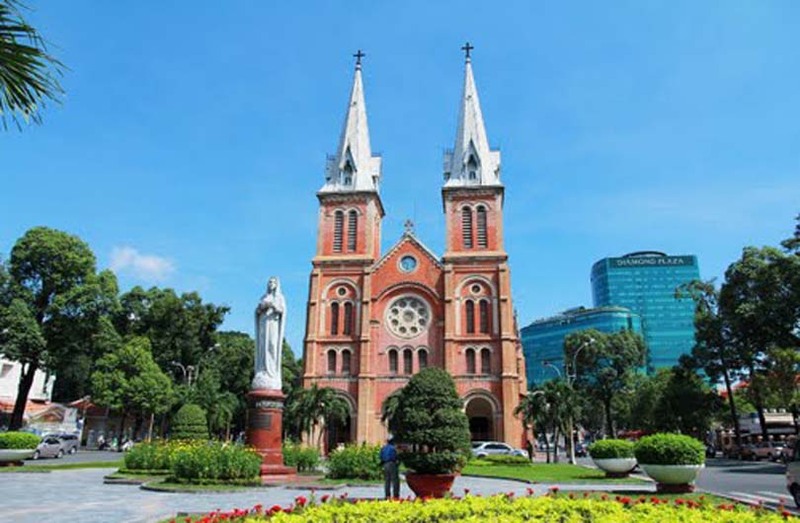 Upon arrival to Ho Chi Minh City, our guide and driver will be waiting to provide transport to the city for check in at the Park Hyatt Hotel. After checking in, the remainder of the day is free at leisure. For those who check in early (standard check in is 14:00), there may be time for some spa treatments (at additional cost). Start the day with a half-day Vespa tour through the city. Start first with a visit to the Tao Dan Park to catch the bird lovers club (morning only, 0600 – 0900). Enjoy a local coffee while the guide explains the history and practice of keeping birds in Saigon. The next stop is the monument of Thich Quang Duc, a Vietnamese Buddhist monk who burned himself to death on June 11, 1963 to protest against the persecution of Buddhists by South Vietnam’s Ngo Dinh Diem administration. Afterwards, take a quick stop at the colorful Ho Thi Ky flower market before riding to the Funeral Home to get to know about Vietnamese funeral ceremonies & customs. Visit a local market and the colonial Post Office and Cathedral of Notre Dame before visiting the iconic Reunification Palace. 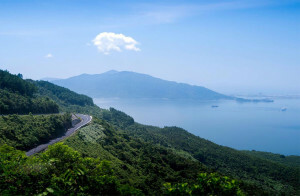 Continue with a drive down Dong Khoi Street before reaching the historic Opera House. 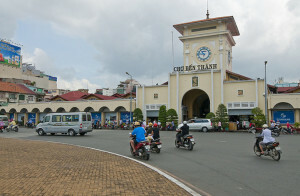 The final stop is an outside view of HCM City People’s Committee (formerly Hôtel de Ville) which is one of the most photographed buildings in Vietnam. For lunch, dine with the locals at a restaurant which is a combination of Asian charm and a homely touch in an elegant setting. 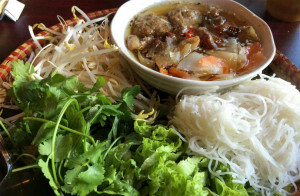 Loved by the Saigonese this cozy restaurant offers different kinds of traditional Hue dishes such as fresh spring rolls, Hue beef noodle and special dishes from the central part of Vietnam. In the afternoon, step into the oldest quarter of the city (the car is available throughout) with a visit to Antiques Street (Le Cong Kieu), where genuine antiques are mixed in with convincing fakes. Follow a typical street to reach the Beaux-Arts Museum, a superb neo-colonial building home to various modern arts. Explore the art galleries surrounding the museum, where local artists gladly display their talent. Wrap up the expereince with a delicious ice cream in a French atmospheric parlour. 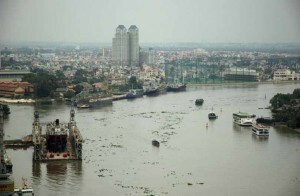 After breakfast in the city, depart for the Mekong Delta. Leaving the rural hustle and bustle behind, the journey opens to picturesque countryside with rice paddies and rural villages. Upon arrival in the Delta, board the private ‘Song Xanh’, modeled after a traditional sampan. The boat’s small size allows easy navigation through the smaller canals and tributaries of this region. The visit includes a stop at the home of Mr. Huyen Thuy Le, a character from the novel ‘The Lover’ by Marguerite Duras as well as to the Thien Hau Pagoda. Return to the boat for lunch. Continue to Can Tho, stopping en-route at a Cao Dai Temple. Cao Daism is indigenous to South Vietnam and its colorful and unusual murals (blending all major faiths of the world) are truly mesmerising. Before sunset, the last stop is at a splendid 19th century house where an unforgettable candle light dinner will be served. After dinner, proceed for one hour to Can Tho where the sampan will be moored for the night. After breakfast, cross the Mekong on the way to Cai Rang Floating Market, taking in traditional sights such as rice barges, wooden ship building yards and fruit drying along the Mekong’s banks. The main items sold here are fruit and vegetables and every boat has a long upright pole at its bow on which samples of the goods for sale are hanging. The waterway becomes a maze of hundreds of boats packed with mango, bananas, papaya, pineapple, and even floating pho vendors. 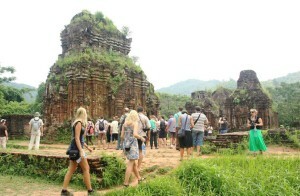 After the visit of Cai Rang, check-out and disembark before the drive to the Victoria Can Tho Resort. Situated on the banks of the Mekong, the resort blends colonial-style architecture with the natural beauty of the river. The afternoon is free at leisure to lounge by the pool, soak in the charming settings or, as an added option, enjoy some spa treatments. Enjoy breakfast at the hotel before returning to Ho Chi Minh City. Our private car and guide will be available throughout until the final transfer to Tan Son Nhat Airport for the departing flight or domestic extension.